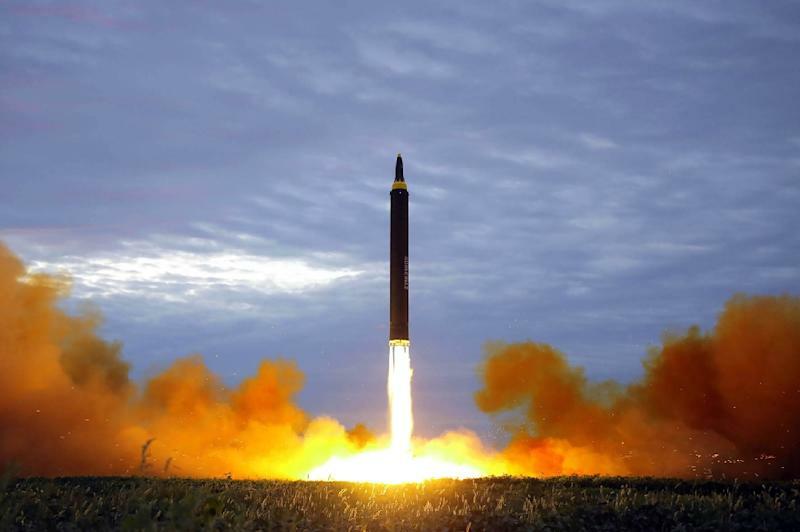 Nuclear-armed North Korea's testing of long-range missiles that could possibly reach US soil has kindled debate in Japan and South Korea about developing their own nuclear deterrent, prompting fears of a North East Asian arms race. In the event of all-out war with North Korea, would US President Donald Trump risk American cities being targeted to protect traditional allies in Seoul and Tokyo? That is the question causing jitters in South Korea and in Japan, where the topic of deploying or developing atomic weapons is especially taboo as the only country to have suffered a nuclear attack. As a presidential candidate, Trump ruffled feathers when he suggested that Japan and South Korea should take more responsibility for their own defence. And concerns that an "America First" policy might mean less military protection for allies many thousands of kilometres away have prompted some to suggest that they need to look after themselves. In Japan, a series of missile launches from its unpredictable and nuclear-armed neighbour across the sea -- including one that crossed Japanese soil -- has caused some prominent figures to wonder aloud whether to reconsider the taboo. Shigeru Ishiba, a hawkish former defence minister and veteran in Prime Minister Shinzo Abe's conservative LDP party, asked on a TV debate show on Wednesday: "Is it really ok not to talk about it any more?" "Is it right to say that we want to be protected by US nuclear weapons but we don't want them on our soil?" asked the former minister, while acknowledging it was an "emotional" issue in pacifist Japan, still scarred by the obliteration of Hiroshima and Nagasaki in World War II. 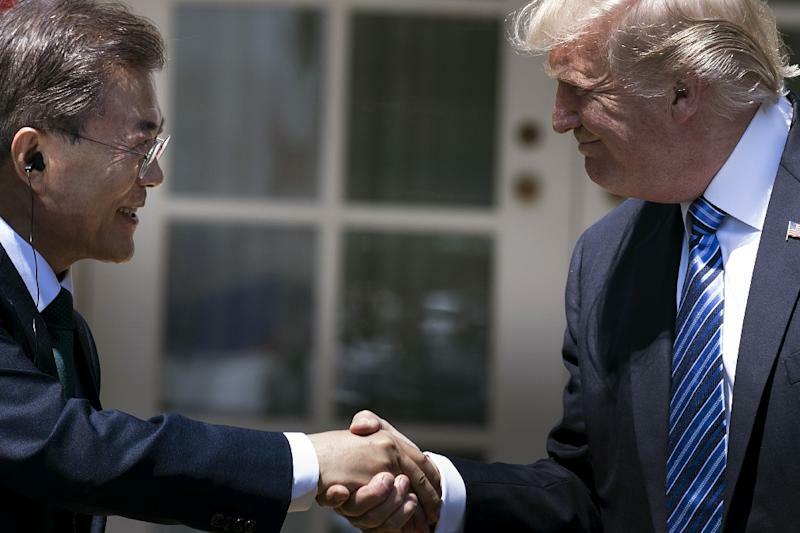 Similar noises are emerging from South Korea, which is banned from building its own nuclear weapons under a 1974 atomic energy deal it signed with the US. "As nuclear weapons are being churned out above our heads, we can't always rely on the US nuclear umbrella and extended deterrence," the mass-circulation Donga Ilbo newspaper said in an editorial Monday. And there appears to be popular support, with a Moonhwa Daily poll last month showing nearly two thirds of respondents in favour of Seoul developing its own independent nuclear deterrent. 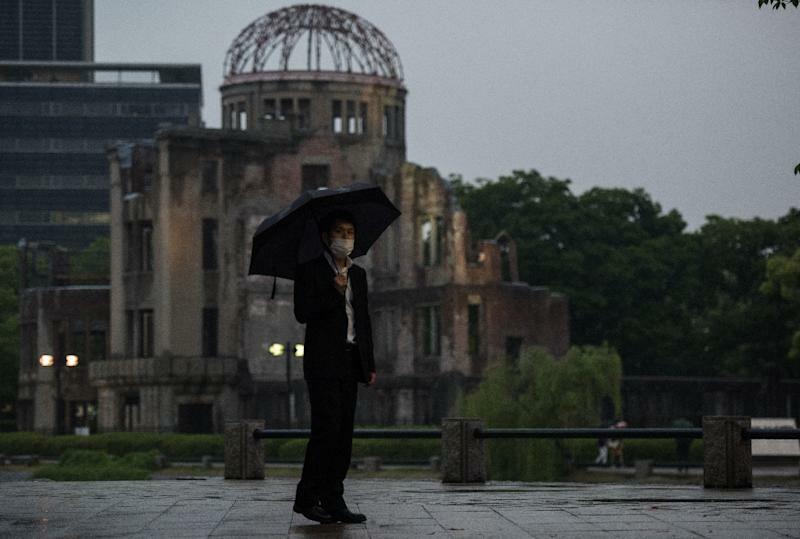 For decades, Japanese policy has been guided by the so-called "three principles": not producing, possessing or allowing nuclear weapons on Japanese territory. And officials were quick to slap down Ishiba, with Chief Cabinet Secretary Yoshihide Suga saying: "Until now, we haven't discussed calling these three principles into question and we are not planning to do so." South Korea has a similar official position, with Foreign Minister Kang Kyung-Wha stressing Seoul is still sticking to its commitment to the Non-Proliferation Treaty. Polls consistently suggest that the Japanese public is against the deployment of nuclear missiles on its soil and Ishiba acknowledged that if Japan developed its own bomb, "that would mean that any other country could do so." But Takehiko Yamamoto, professor emeritus of international politics and regional security at Waseda University in Tokyo, said that Japan could already be considered a "de-facto nuclear power state." "It has maintained its nuclear technologies and possesses enough plutonium to produce tens of nuclear weapons," said Yamamoto. While popular opposition is likely to prevent concrete action for now, "North Korea's escalating provocative actions may be used by hawkish politicians to open up the debate, questioning if the US nuclear umbrella is safe enough and calling for its own deterrence," he added. This appeared to be Ishiba's line of attack, arguing on a Thursday morning debate show that the US umbrella appeared to "have a hole". "We have to make efforts towards increasing its effectiveness," said Ishiba, who is seen as a possible future prime minister. But another expert, Walter Russell Mead from the Washington-based Hudson Institute, warned of the risks of a US disengagement from its allies in the region. "An American retreat in the Pacific would more likely lead to arms races and military confrontation than to peaceful development," he wrote in an op-ed in the Wall Street Journal published on Wednesday.